So far GAMMS has created 76 blog entries. 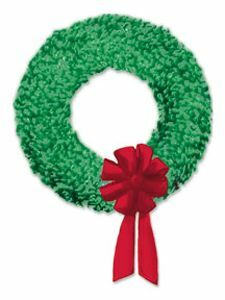 Get ready for Christmas with hundreds of vendors. We will have plenty of Sauces and Rubs for you to take home. They make perfect Christmas gifts and the Rubs are great for smoking the Boston Butts, baking Pork tenderloin and many other items on your Holiday menu. We will be in the Got To Be NC tent behind the Scott Building. This year we will be there from October 12 – 17. We will have our GAMMS Sauces and CeCe’s Rubs available for purchase. Please stop in to see us. NC State Fair does continue thru October 22, 2017. GAMMS will only be there the FIRST 6 days. Check the main NC State Fair website for more information of prices and additional shows. 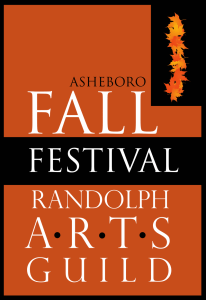 Sponsored by the Randolph Arts Guild, this festival is a combination of street fair, bazaar, harvest celebration and homecoming. 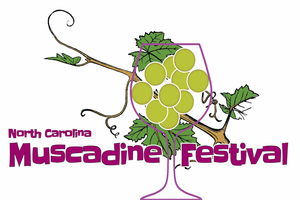 Held in downtown Asheboro the first full Saturday and Sunday in October. The event boasts over 400 vendors, music, amusements, livestock show, heritage village, and much more! GAMMS will be serving Chicken and Ribeye sandwiches. Chicken Kabobs. Our Sauces and Rubs will be available for purchase. End the summer with a weekend full of wine, food, arts & crafts, and Beach Music! This event is continuing to grow each year. It is fun for all ages! Bring a chair. Weather should be perfect! GAMMS will be serving Chicken and Ribeye sandwiches. Chicken Kabobs. Our Sauces and Rubs will be available for purchase. GAMMS at Bush Hill 2017! Bush Hill 2017 is this weekend! We hope to see you there. As we prepare for this bad weather over the south east, we hope you can take a little time to have some good food and fun. The weather is going to be perfect to get us in the mood for Fall. Menu: Chicken and Ribeye sandwiches. Chicken Kabobs. Sauces and Rubs available for purchase. Preheat oven to 350º. Lay out tortillas one at a time. Brush with EVOO. Sprinkle with Cece’s Seasoning DRY RUB – to taste. Turn over and repeat process. Cut tortillas with knife or pizza cutter to size desired. Place “chips” on cookie sheet. Bake in oven for 15 mins until brown and crispy. Add toasted sesame seeds for additional flavor. Larger size pieces are excellent with a salad. GAMMSoritos are great to eat as a chip or with dip. Place cream cheese into deep baking dish, stir until smooth. Mix in salad dressing, GAMMS Original and cheese. Stir in chicken. Bake 20 mins or until mixture is heated through, stir. In a small mixing bowl, combine cream cheese, mayonnaise, Cece’s Seasoning DRY RUB sour cream and grated onion. In large microwavable bowl, mix cereals, crackers and almonds. In 2-cup microwavable measuring cup, microwave butter uncovered for 40 seconds or until melted. Stir in dressing and GAMMS Original. Pour over cereal mixture; stir until evenly coated. Sprinkle Parmesan Cheese and Cece’s SeasoningDRY RUB over cereal mixture to taste; toss to evenly coated. Microwave uncovered on High for 5-6 minutes, stirring every 2 minutes. Spread on waxed paper or foil to cool. (If needed you can place on cookie sheet and place in oven on a low temperature to dry out until desired dryness/crunchiness). Store in airtight container. Don’t like these mixes? Try any snacks you like! Cheese-its, pretzels, cheerios, etc. Have fun and Enjoy!!!! In large microwavable bowl, mix cereals, croutons, crackers and almonds. In 2-cup microwavable measuring cup, microwave butter uncovered for 40 seconds or until melted. Stir in dressing and GAMMS Original. Pour over cereal mixture; stir until evenly coated. Sprinkle Cece’s Seasoning DRY RUB over cereal mixture to taste; toss to evenly coated.